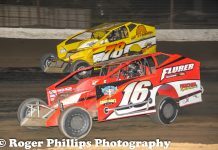 It’s become one of the tell-tale signs that another exciting season of local short track racing is just around the corner. Shops have become a hive of activity and racers are burning the midnight oil to get their equipment ready for the upcoming schedule. The annual free Kingston Area Racing Preview Show takes the green flag – Friday and Saturday, March 29th and 30th – at Frontenac Mall. 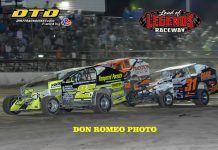 For close to 20 years, fans have enjoyed the chance to get a pre-season sneak peek at the potent machines they’ll see tackle the track at regional raceways including Brockville, Brighton, Cornwall and Can Am Speedways before they fire-up the engines for battle. Show co-promoter Glenn Stewart – a Small Block Modified car owner from Sydenham, Ontario – along with his partner Ed Palmer says the event is as important for the race teams as it is popular with the fans. Stewart says that since the show began in 2001, it has continued to grow over the years. He’s sure that a driver or 2 has invited a potential sponsor visit the mall and see what the event is all about. Chances are good that participation in this expo has helped close the deal for a season-long advertising package. In addition to having the cars displayed at the mall, track staff and officials will also be on-hand and visitors can pick up a copy of the 2019 event schedules for their favourite speedways to help plan their racing travels for the new season. Fans love talking about racing almost as much as they enjoy the opportunity of going to the track. Be sure to take advantage of this chance to see the cars and do some ‘bench racing’ with your friends. 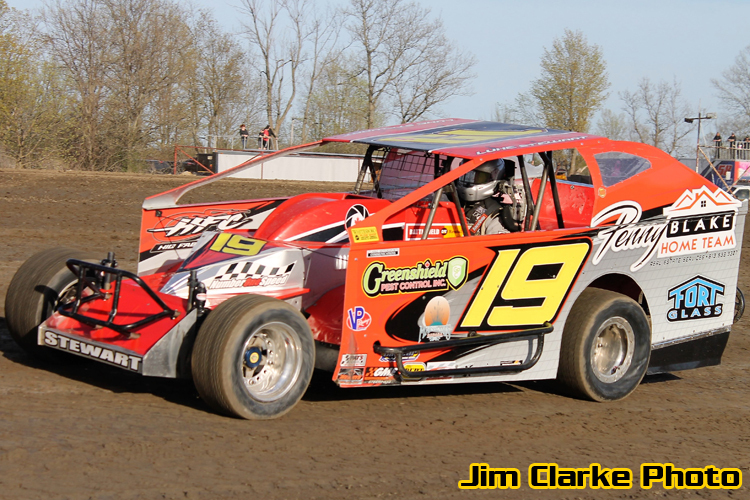 There’s a lot to be done leading-up to the opening night of the year and depending on an individual team’s car preparation schedule, the 2019 edition of the free Kingston Area Racing Preview Show – March 29th and 30th at Frontenac Mall – could include Mini Stock, Street Stock, Late Model, Sprint Car, Vintage Mod, DIRTcar Sportsman and Small Block Modified equipment. Drivers and teams interested in being part of this exciting event can contact Glenn Stewart, 613.376.6153 or Ed Palmer, 613.389.8013 for details.